Excess moisture in the air can undermine a crop’s health and vigor. In fact, humidity levels that are too high can result in mold, mildew, and rot. These outcomes are worse when plants grow more dense and lush. The fungal spores that spur mold development thrive in damp conditions, so savvy growers need to be able to keep relative humidity at levels of 50 percent or lower. Outdoor grow operations have the benefit of airflow—after all, wind is a constant force—but the air in an indoor growing operation does not move or get replaced. With a lack of air circulation, humidity can build up, CO2 inputs can be wasted or poorly distributed, and heat can settle and stagnate. 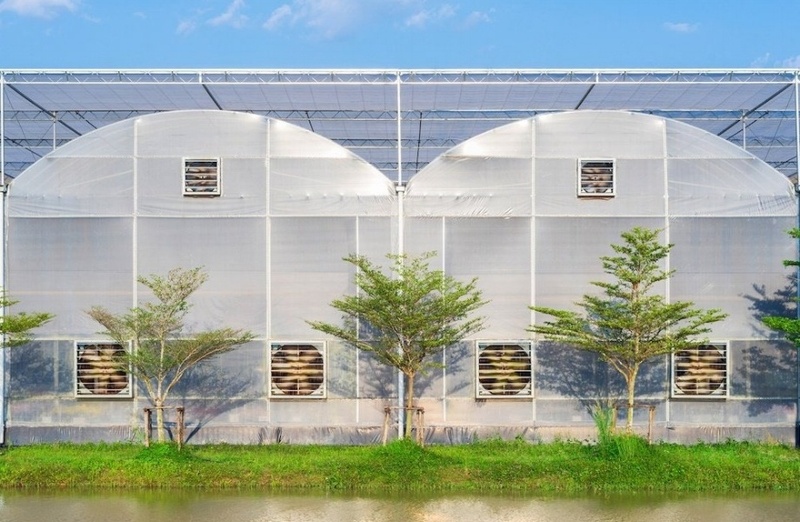 Ventilation brings in fresh air, while circulation via fans and blowers ensures that air and CO2 are distributed throughout the growing environment to boost yields and ensure a quality crop. Sunlight—or its equivalent—is among the most basic necessities to ensure maximum and quality yields. However, the amount of light a plant needs depends on several factors, including plant age, type of light, growing space, plant type, and more. Too much light can cause a plant’s natural photosynthesis process to essentially shut down; too little light can cause deficient crops. In either case, environmental controls may be needed to maintain a steady temperature. Likewise, a string of cloudy days or seasonal changes in high altitudes may drive a need for supplemental lighting. With all of these concerns, the grower must find a way to resolve the issue of consistency and repeatability through automated functions in order to maintain an indoor environment that is constant and predictable. Ag-tech makes this possible through intelligent environmental control systems. Through a combination of sensors and automated controls, environmental control systems allow the grower to track, manage, and pre-program key variables such as temperature, humidity, and lighting to create an ideal environment. After establishing rules to automate equipment such as vents, shades, or curtains and tasks such as nutrient delivery, irrigation, and lighting, growers can rely on the control system to operate seamlessly 24/7/365. This cuts down on labor costs and gives farmers the chance to focus their energy elsewhere while having the confidence that their control system is running the show. What does this mean in practical terms? When an indoor growing facility experiences a spike in temperature or humidity, sensors note the change and the system can take corrective action on its own to return the environment to an optimal level of humidity. With a smart control system, a grower can ensure that HVAC systems are properly programmed to manage airflow and venting to maintain ideal airflow and oxygen or CO2 levels. Additionally, smart controls can monitor fans for speed and intensity, and even turn them on and off to guarantee they’re not moving too much air. Grow controllers that have a lighting solution allow growers to schedule appropriate periods of light or dark for the grow cycle across an entire operation. This is crucial for making sure plants aren’t blooming too early or experiencing too long of a grow cycle—both of which can hinder crop quality. Additionally, with an ag-tech solution that automatically adjusts shades at the right time throughout the grow cycle, your yields can be consistent and predictable. Indoor farming operations offer growers an incredible ability to control the most minute of variables to optimize the environment and maximize yields. With intelligent ag-tech, growers can exert maximum control to ensure airflow, humidity, and lighting are all working efficiently and effectively through smart sensors, alerts, and controllers. If you’re ready to learn more about how unlimited timers, schedules, controls, and sensor triggers for temperature, humidity, CO2, lighting, and more can level up your grow operation, download our Modular Farms Case Study now.